Being obese can raise the risk of dying after a car crash by up to 80 percent when compared to the risk faced by a person of healthy weight, a new study has found. Researchers say that the risk maybe lowered by incorporating new designs that take the drivers' weight into account. The data for the study came from US Fatality Analysis Reporting System (FARS) between 1996 and 2008. During the study period, some 57,491 road traffic accidents were reported. For the study researchers, from University of California and University of West Virginia, used only those traffic accidents in which two passenger vehicles were involved and where one or both the driver died. They also looked at accidents that involved cars of similar shapes and size. Around 3,500 traffic accidents met the study criteria and researchers collected additional details of these accidents like the victims' age, weight, seat-belt use etc. Study analysis showed that about 46 percent people involved in these car crashes were of healthy weight while some 18 percent were obese. Researchers found that obese people were more likely to die in car crashes than people of normal weight. The World Health Organization categorizes obese people based on their weight into levels I,II and III. Researchers found that people belonging to obesity levels III were up to 80 percent more likely to die during the accident than people who had healthy weight while those in the obesity II level were 51 percent more likely to die in the accident. The study also found that while obese women carried additional risk of death following car crashes, even underweight men had poor survival rates than normal weight men. Researchers say that the lower body of an obese person is propelled forward following a collision while the upper body is held back. The additional soft tissue in the lower body doesn't let the seat belt fit the person. They add that a change in car designs might prevent these collision related deaths in obese people. According to estimates by Centers for Disease Control and Prevention, a third of all people living in the U.S are obese. "The ability of passenger vehicles to protect overweight or obese occupants may have increasingly important public health implications, given the continuing obesity epidemic in the USA," authors wrote in the journal. "It may be the case that passenger vehicles are well designed to protect normal weight vehicle occupants but are deficient in protecting overweight or obese occupants." Researchers also said that underlying health complications in an obese person may also contribute to the death risk following a car crash. 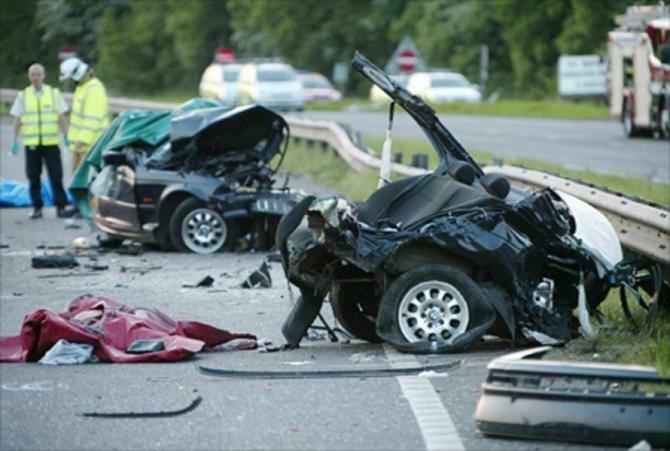 Wearing seat-belts can effectively lower the risk of dying after a car crash. Keshia Pollack, associate professor with the Center for Injury Research and Policy at the Johns Hopkins Bloomberg School of Public Health in Baltimore told USA Today that obese people, especially the morbidly obese, may not wear seat-belts as they can be uncomfortable. "We also need to be focusing more on encouraging people to wear their seat belts because they are an effective technology," Pollack, who wasn't part of the current study told USA Today.